Tim began his financial services career in 2000. After 18 years of helping his clients prepare and pursue their financial goals, he chose to join LPL Financial and merge his growing practice with the like-minded team at Growtrust Partners in order to cultivate an even stronger resource for existing and future clients. Tim focuses on long-term financial management, retirement strategies suited for individual goals, and growing and protecting clients’ assets. Prior to his career in financial consulting, Tim worked at Grand Valley State University in the Business and Finance Office. 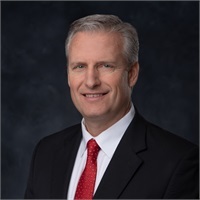 He obtained a BSBA degree from Aquinas College, where he majored in Accounting and Business Administration, and a Master’s of Business Administration degree from Grand Valley. Tim spent several years coaching baseball at Southern Little League and currently coaches baseball at East Grand Rapids High School. Though originally from Flint, he currently resides in East Grand Rapids with his wife Karen and their two sons, Matthew and Ryan.